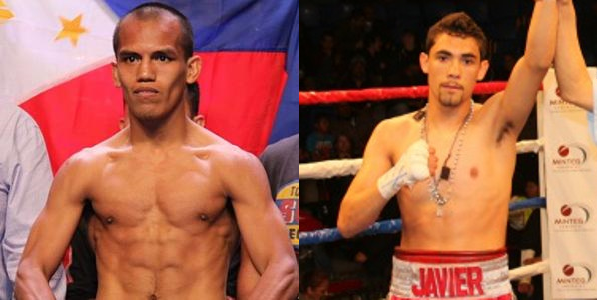 Milan "El Metodico" Melindo will travel to Mexico to face Javier Mendoza for the IBF World light flyweight title on May 30, 2015. Fight will happen at Auditorio Municipal Fausto Gutiérrez Moreno, Tijuana, Baja California, Mexico. - Melindo failed to get the world title against Juan Francisco Estrada back in 2013. A year later Melindo returns by defeating his last 3 opponent via two unanimous decision and one majority decision. The native Cagayan de Oro boxer still one of the best fighter in the light flyweight division, he is a technical and smart fighter same as Donnie Nietes. Melindo promises to give a good fight and to bring home the title. - Javier Mendoza a KO puncher, he has a record consisting of 23 wins including 19 wins by way of KO and has only 2 defeats. He is a 25 years old boxer from Tijuana, Mexico. He got his first world title by defeating Ramon Garcia Hirales via Unanimous Decision last year. Mendoza handled a 10 winning streak and 9 of those wins are by way of KO. Very top fight for Melindo but Javier was knocked out before and the Method Man must take advantage of that.